Enjoy benefits such as Medicare, First Home Buyer’s Grant, Family Tax Benefits, etc. While it sounds very attractive, especially in comparison to the temporary work 457 visa, it is important to note that the requirements to apply for the RSMS are very different from the 457 visa application. Here are the 10 things you need to know about applying for a RSMS visa. No. 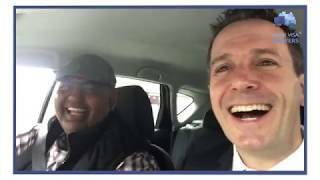 1 – What are the regional areas in Australia for the purposes of the RSMS visa? The regional areas of Australia include all parts of Australia except Brisbane, Gold Coast, Newcastle, Sydney, Wollongong and Melbourne. This stream is available for Temporary Work (Skilled) visa (subclass 457) holders who have worked for the sponsoring employer for at least 2 years. You will also need to meet vocational English requirements unless you are exempt. No skills assessment is required. You will need to meet competent English requirements (unless exempted) and also meet the skills requirements, which are explained in more details below. For the Temporary Residence Transition stream you will need to refer to the Consolidated Sponsored Occupations List. The nominated occupation for the RSMS subclass 187 visa must have the same four-digit occupation unit group code as the occupation being carried out by the employee. For the Direct Entry stream you will need to refer to a special legislative instrument for the list of occupations suitable for nomination. The occupations are specified in the legislative instruments IMMI 15/083 and IMMI 15/109. You will also need to seek Regional Certifying Body (RCB) approval before being able to nominate a position. More details about the RCB are explained below. For the Labour Agreement stream you will need to check if an agreement is in place for the occupation being nominated. The occupation must have a Labour Agreement in place to be suitable for nomination. If you need help with the position being nominated, please seek the help and advice of Work Visa Lawyers. For English applicants will need to demonstrate Competent English, which is shown by obtaining English test scores of IELTS 6.0 in all components, or equivalent alternative test scores. You will meet the English requirements if you are a holder of a valid passport issued by the United Kingdom, the United States of America, Canada, New Zealand or the Republic of Ireland. You may be exempt from the English requirement if you command a very high salary for the position or are nominated for a select group of occupations. The visa applicant must meet the skills and qualifications requirement for the nominated occupation. The skills and qualifications required for each occupation can be found at the ANZSCO list from the Australian Bureau of Statistics. Trade occupation applicants will need to obtain a skills assessment if the relevant qualifications were obtained outside of Australia. Professions such as medical practitioners and nurses will need to obtain full practising registration in Australia before they can apply. As such many candidates from such professions will apply for a 457 visa first to work and obtain registration in Australia, before applying for permanent residence via the Temporary Transition stream later. All Direct Entry 187 RSMS visa applicants need to be under the age of 50, unless exemptions apply. There are two advantages to the RSMS visa application. Firstly the nominated position is not subject to the Temporary Skilled Migration Income Threshold (TSMIT) which is $53,900. This means that unlike the 457 Temporary Work Visa the RSMS visa is suitable for occupations which have an annual market salary lower than $53,900 (such as cooks or restaurant and café managers). Secondly the RSMS occupation list has more occupations than the Consolidated Skilled Occupation List (CSOL) used for the 457 visa. A good example is Hotel Service Managers which are available for sponsorship under the RSMS visa but not for the 457 Temporary Work Visa. The required English ability for this visa application is Vocational English, which is IELTS 5.0 in all components or equivalent English test results. There is also no need for skills assessments, demonstration of skills or qualifications if the 457 visa holder has been employed in the position for at least 2 years. The Temporary Transition pathway also allows access to a health waiver, which will be helpful to a family which may have a family member who is ill. Do note that there is no guarantee that a health waiver will be granted. No.10 – Do I need help with a RSMS subclass 187 visa? 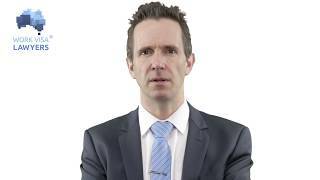 0:44 - #1 What are the Regional Areas in Australia? Hope you found the video helpful! 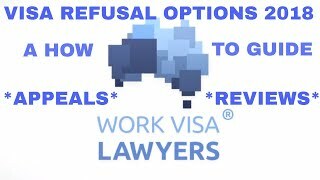 Remember to subscribe to the Work Visa Lawyers channel for more videos. Employer Sponsored Visas | 457 visas | RSMS 187 visas | ENS 186 visas | Standard Business Sponsorship | Meeting Training Benchmarks and Creating Training Plans | RCB certification | Labour Market Testing | Market Salary Research | General Skilled Migration | State Nomination | Partner visas | Parent visas | Business Migration visas | and others. Contact Work Visa Lawyers today if you need help with an Australian visa application.